It's now official: Switzerland has a pack of wolves! There is a first picture that confirms it: a photo of a wolf puppy. It was also confirmed by the Office for Hunting and Fishin, Graubünden, after multiple hunters had spotted three wolf babies. In early August, it was speculated that the wolves in Calandagebiet had babies. Now, the babies are around four months old. The reason why they were not discovered earlier is because the whole area is very rugged and there are few roads and paths. These are optimal living conditions for the little wolf family. A wolf pack consists of the parents and their offspring. Since the mid 19th Century wolves in Switzerland were virtually exterminated. It was not until 1995 that the wolves from the south had migrated to Switzerland. But so far they have never been seen in a pack there. The new family of five wolves now live quite near Chur, Switzerland. But have no fear of the wolf population according to large predatory animal expert, Danielle Gugolz WWF Switzerland. She says: "wolves in packs, as opposed to wolves living alone maintain their own territory. Thus, they prefer to live in the mountains. The packs in Europe are rather small, which is why we prefer to speak of family groups." But does Switzerland has enough room for a 'family unit'? "There is room enough," says Gugolz, "We will continue with the existing measures, such as awareness of where the wolves are. Natural prey animals such as deer or chamois are also plentiful enough for the wolves." Congratulations to Switzerland for the birth of their first wolf pups in over 150 years. May the wolf population continue to grow there. VIDEO Switzerland has a pack of wolves! A second pack of wolves has been spotted in Switzerland. They were seen in the southern canton of Ticino. A group of the animals were already known to be in the mountains between cantons Graubünden and St Gallen in the south-east of the country. 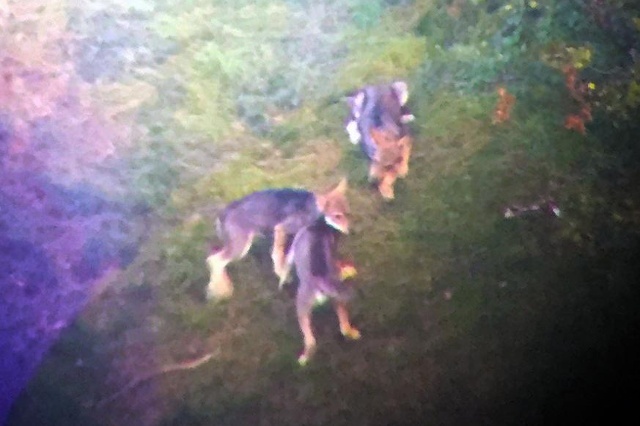 Canton Ticino confirmed a family of wolves – one adult and three cubs – had been seen and photographed. Wolves were first seen in Ticino in recent times 14 years ago and have been spotted since on a few occasions. 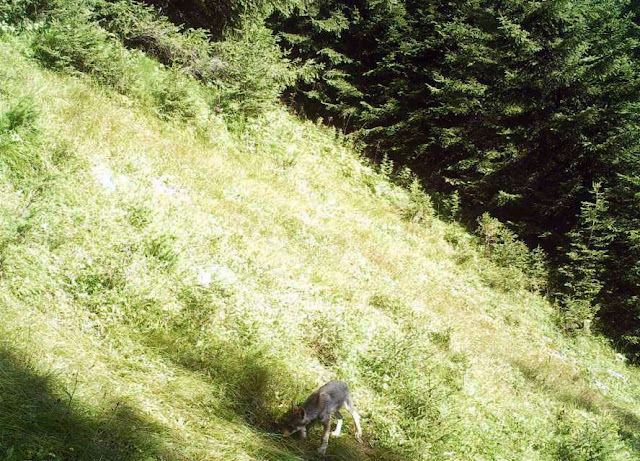 This latest discovery brings the total number of wolves in Switzerland to 18. 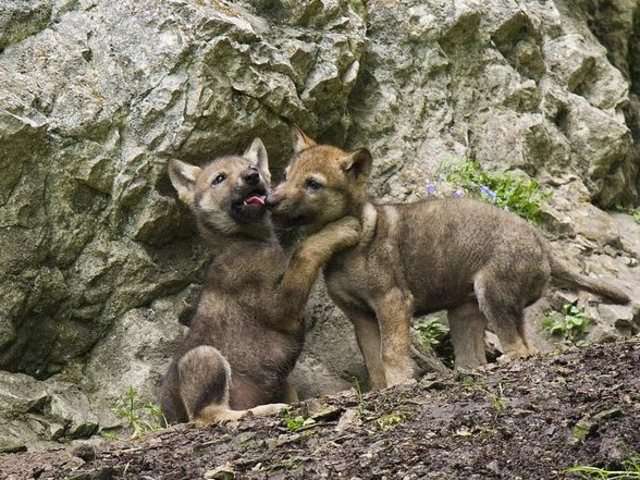 Responses to "Switzerland has confirmed it's first wolf puppies born there in over 150 years! (Video)"
Fantastic news!!!! I hope they continue to thrive. I hope they live long and prosper! and now the people of that country will say they are killing livestock and demand the little family be destroyed. Its already happening here in the west united states. In Lithuania (EU) there are ONLY 200 wolves... In that hunting season Lithuanian goverment did wolves hunting seson - to hunt 21 wolves!!!! Its terrible... Its against all ЕU rules... Help us to save Lithuanian grey wolves! this is great news, hope they survive!!! I hope they get to grow into the amazing animals that I know they are. Excellent news. Hunt people not animals. Dude. That's so freaking awesome. Wolf pups are pretty darn cute. I LOVE wolves and pledge to protect them from Humans. Killer Humans, beware. Oh my gawd! That's my MY dog! no apostrophe in the its in the headline is needed. Des loups en Suisse?si c'est comme en France la chasse sera reouverte helas croyez moi!! C'est une bonne nouvelle. Incroyable d'avoir de si beaux animaux à l'état sauvage.